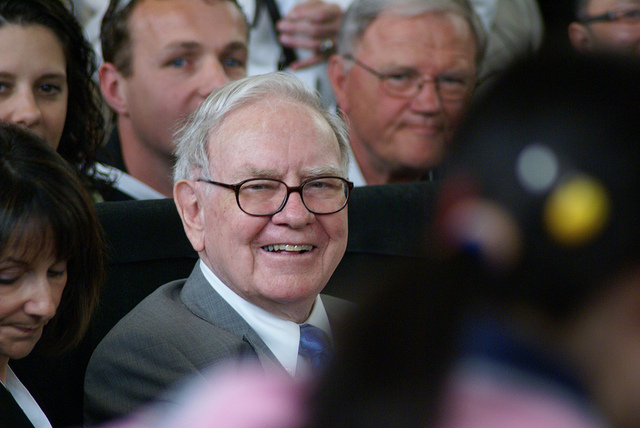 Warren Buffett does not dole out advice to any audience. Though he often gets invited to give remarks at colleges and universities, he saves his wisdom for addresses to small-business owners—or those who aspire to become entrepreneurs. At last week’s Goldman Sachs 10,000 Small Businesses program graduation at LaGuardia Community College in Long Island City, New York, and again this week at the White House’s United State of Women Summit, Buffett offered his number-one tip for business success. At 85, the Berkshire Hathaway Chairman and CEO has learned the value of quality customer service. He also believes in the importance of women in business, which led him to speak at Tuesday’s summit. Read on for Buffett’s top pointer for young entrepreneurs, as well as other lessons he has learned over his career. Growing up, Buffett says he was unsettled by the discrepancy between expectations for men and women. Buffett had two sisters, both of which were as intelligent as him, and whom he joked had better personalities and better looks, but unlike him, they were expected to marry young—and marry well.